It is with great sadness we announce the passing of Dorothy Hireen on July 15 at R.I.H., Kamloops, BC, surrounded by her family. 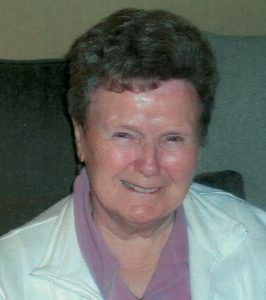 She will be lovingly remembered by her daughters, Betty Seeley (Merv), Brenda Fuhrer (Dan), and Linda Heringer (Wayne) of Kamloops, Teresa Binka (Don) of Surrey, BC; eight grandchildren Larry, Chris, Shelly, Debra, Trina, Paul, Phillip, and Justin; eleven great grandchildren, and three great great grandchildren. She also leaves to mourn her sisters, Hilda Black of Scarborough, Ontario, and Joyce Conner of Hamilton, Ontario, and numerous nieces & nephews. Born in New Brunswick in 1930, she moved to BC in 1949, married, and raised her family in Kamloops. She then moved to Vancouver and worked at the C.N.I.B. until retiring in 1995. She moved back to Kamloops in 1998 to be close to family. Special thanks to home support & staff at Riverbend for their care and kindness to our mother. Thank you to R.I.H. staff on 3 West for your compassionate care of our mother. In keeping with her wishes there will not be a service. If friends so desire, donations to the Heart & Stroke Foundation may be made.